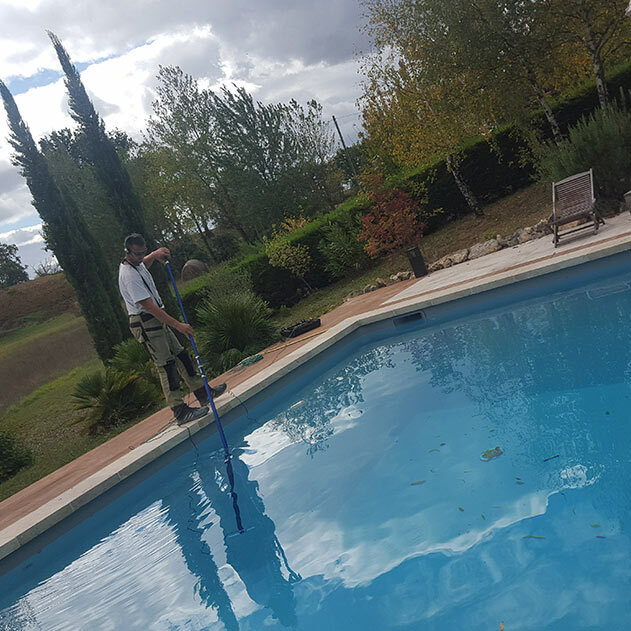 Sometimes it's complicated to know if your pool is leaking, or if its level is dropping due to such as heat, wind, which accentuate the phenomenon of evaporation. To determine the problem, we ask you first several questions to try to establish a first remote diagnosis. After you have asked all these questions, and thanks to our experience in the field, we deem it necessary or not to move. Most of the time, we make you carry out some tests, which do not cost you anything, before intervening on the spot. In case the leak is too important we move directly to your home and comb the basin. The pipes go down and break because of ground movements. Sometimes they even train the parts to seal that break in turn. Surchlorations, which cause a lot of damage. The hoses stiffen and retract, causing large leaks. So we start with a test, where we put all the hydraulic network under pressure (about 1.5 Bars). This intervention is the least expensive (from 187 €), the price is established according to the number of pipes. 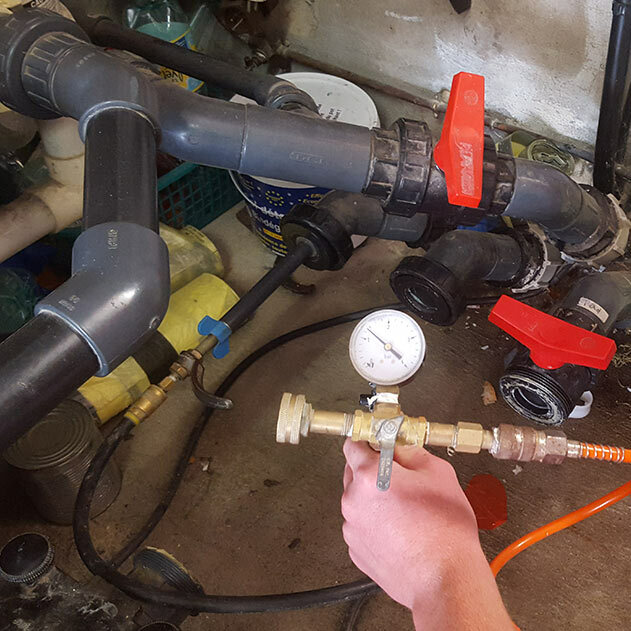 If it turns out that the leak comes from the pipes, we can either intervene immediately, or prepare an estimate if the necessary work is important. If the test of the pipes is negative, we then make a 2nd test on the coating thanks to the ultrasound system (from 150 €). Again, we can often intervene directly, and put in place a patch (if liner) or a special pool putty (if other coating) that will allow wait until the next coating change. We invite you to ask us for advice: we can intervene very quickly!